ABC Minicoach Hire based in Edinburgh offer a range of services including airport transfers, contract hire, golfing trips, school trips and transfers to major sporting events throughout Scotland. Offering such a wide range of transport services meant that they needed a truly flexible booking solution. Their fleet includes vehicles from 14 seat minibuses up to 34 seat executive coaches so their chosen booking system needed to be able to handle different types of vehicles and different types of trips. 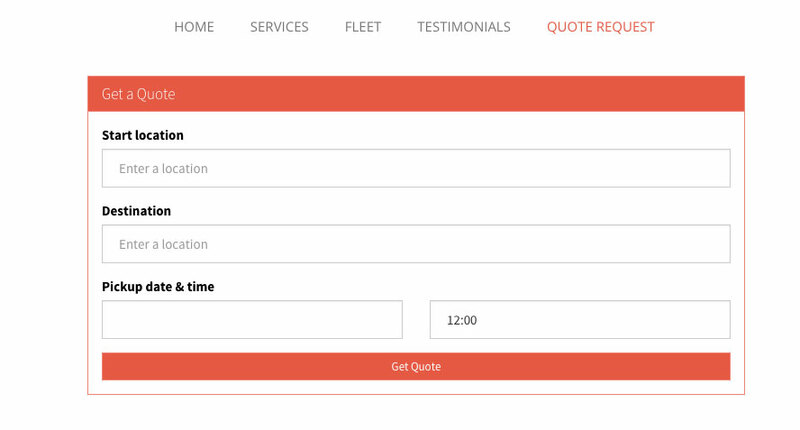 Unlike some other software available on the market, the Transporters.io quote form can easily be added to any website, no matter what kind of platform you use and can be customised to any style or color that you prefer. The quote form fitted perfectly onto ABC’s existing Joomla website and meant that they could keep on running with no disruption to services during the setup of the platform. Being able to integrate quotes and bookings into one easy to use system without having to make major changes to their existing website and processes was a dream come true for the team at ABC, and gives them a lot of extra time to concentrate on providing a truly great transport service. The whole team are very excited about how they can use the additional functionality of the system to grow their business in the future and are busy planning how to incorporate the full power of Transporters.io into their services. “Would ABC Minibus HIre recommend the software to other transport companies in a similar position”?